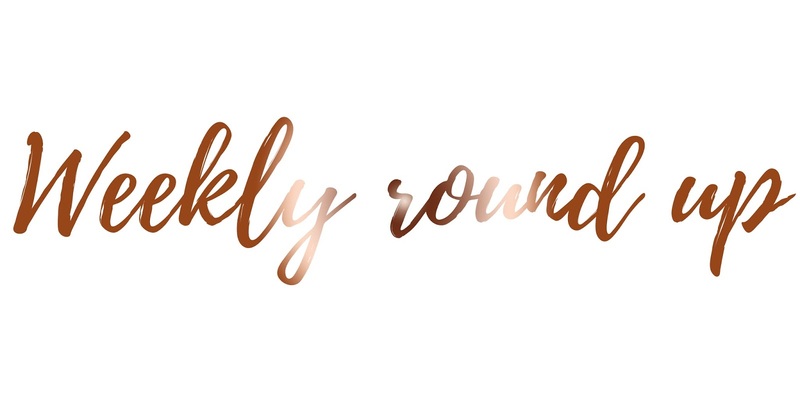 I haven't done a weekly round up in a few weeks now so it's time to come back and share with you what I have been up too; and let's be completely honest, I haven't done a lot! However, if you didn't know, I have started up a new instagram called Kimberleyjesscanails! After having a discussion with the lovely Charlie at the #BWBLaunch pizza express lunch date with the girls, I decided it was time to share my passion with everyone. I have always loved painting my nails, even in school I would be the one who completely ignored the teachers when they told you to take your nail varnish off at the school office; it was a part of me and without it I didn't feel like myself. It sounds absolutely mad but some girls love makeup, I love nail varnish! My boyfriend also says I look really strange without nail varnish on; like I have alien fingers. This week I have really thought about my blog, where I want it to go and how much effort I'm putting into it and it's really put everything into prospective. I decided it's time to stop moping around feeling unmotivated about absolutely everything and that's why I've been posting more regularly on my instagram accounts and why I have also been doing threads over on my twitter account for everyone to share their links and enjoy the love from the blogging community. If participating in these threads is something which you're interested then feel free to follow my twitter account here; to keep up to date with when I'm posting them! Something I'm really struggling with at the moment is my dissertation, although I'm extremely motivated right now to do uni work (although I have absolutely nothing to do), I have no idea where to start with my dissertation. How do you know where to start? How do you know what you want to do your dissertation on? I'm completely stuck on where to even begin and I know I haven't got long. If you've been through your final year of University, I'd absolutely love to know how you knew what to do your dissertation on or what you did when you were completely stuck for ideas.